Tools | Desserts. Nothing. Else. 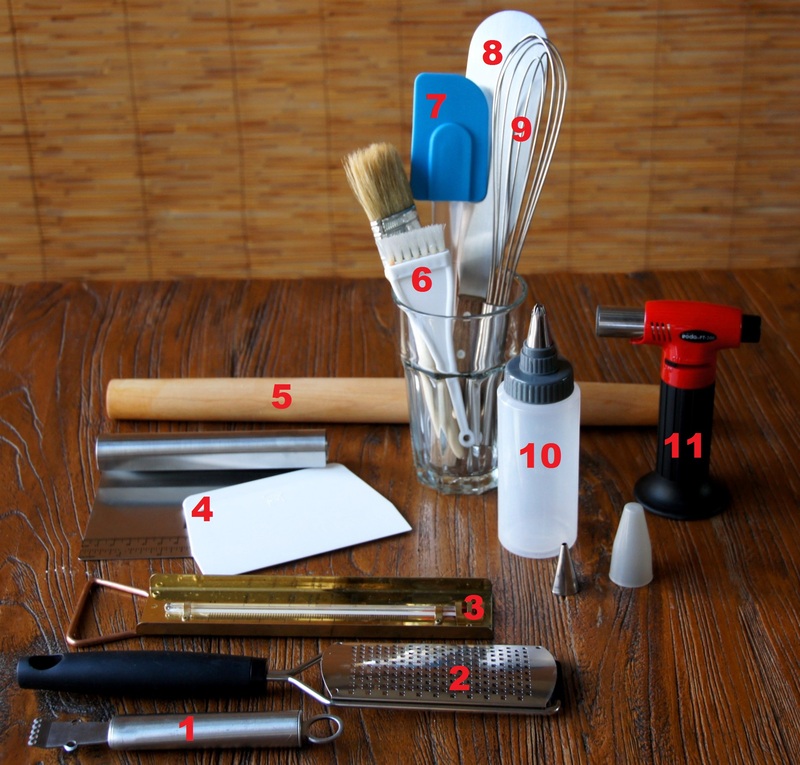 Just to share the tools and equipment I use, as it might be a useful visual reference for some of the steps in the cooking and baking process of the recipes I share. 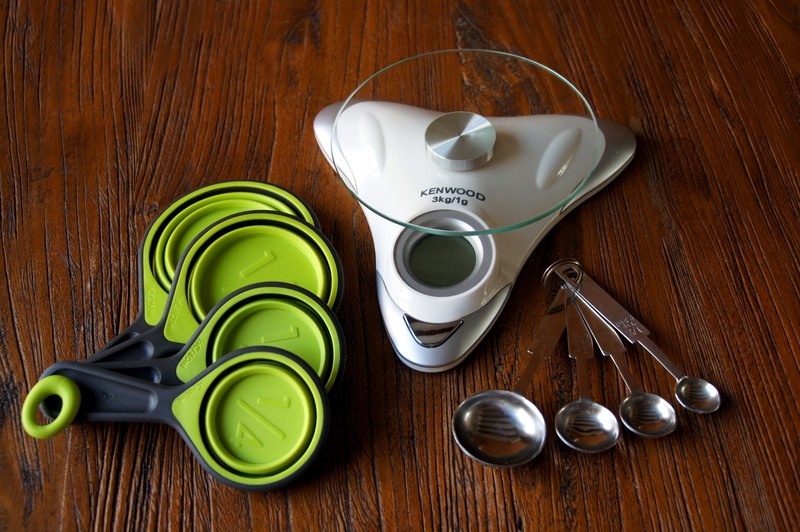 These reflect on my cooking and baking preferences – you might prefer other tools and techniques. I started my ‘collection’ a few years back and by now have most of the equipment I needed and was after. Kitchenware shops are still hard to resist though, and there’s always something interesting that might turn into а new addition. You can ENLARGE photos by clicking on them. I use cups, spoons and scales to measure and weight the ingredients. The first ‘measuring tool’ I had as a kid was a measuring jug for both liquids and dry ingredients. Today I find it less convenient, simply because you might need to measure a dry ingredient after a liquid, with some time and effort spent on cleaning and drying the jug as a result. My personal preference is to measure liquids (e.g. milk, cream water) by volume, and use scales for dry ingredients. 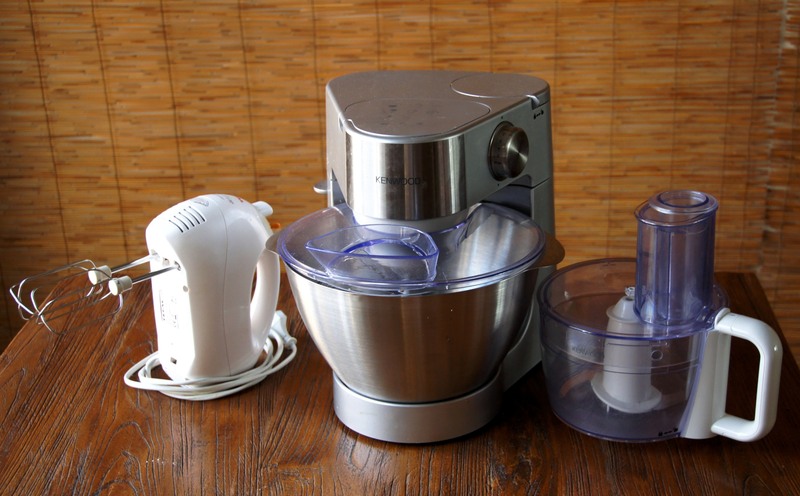 Here are some of the miscellaneous necessities I use at different stages of the dessert-making process for rolling, brushing, grating, peeling, mixing whisking, decorating, etc. I displayed only those that I use most often. For example, I have a piping bottle and a couple of piping bags, but in most cases prefer the former. I seldom use cookie cutters, merely since in choosing between a cookie or, say, a slice of cheesecake my vote will always be in favour of the latter. I think last time I used them was a few years back when I baked gingerbread cookies for my colleagues. When making chocolate mousse, brûléed creams with fruit, or jelly/yogurt-based chilled desserts, I usually go for dessert glasses. As for ramekins, in addition to the ‘usual suspects’ like crème brûlée or soufflé, I use it for baking individual mini-cakes (like cheesecakes or chocolate cherry cakes), puddings and ice-cream based desserts. 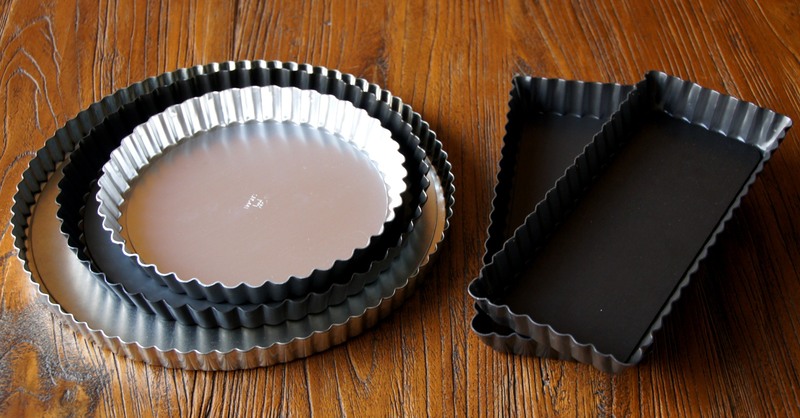 I definitely recommend loose-bottom over solid-base tart tins as it eases and makes the process of demoulding less painful. I used to have a couple of solid-based tins, and they are generally fine, but there’s no ‘going back’ for me for sure in the debate of “solid vs loose”. For a cheesecake lover such as myself, a springform tin is a definite must. The choice between 24/20/15cm depends on how big of a crowd is coming for Saturday dinner. My other ‘regulars’ in use are square tins, for baking slices, squares, brownies, triangles and other ‘geometrically-correct’ desserts. From middle-school times to this day I believe the best Sour Cherry Cake comes out of the fluted ring form. Baking trays are good for cookies, roulades, layered slices, shortbreads and biscuits. I also like the simplicity of madeleines, so tray of maleleine moulds comes handy. Banana bread and other fruit/vegetable delights such as Zucchini&Walnut Cake are best-suited for loaf tins (or bar cake pans). To be perfectly honest, I don’t share the cupcake craze; however, some of the people I like to bake for do. 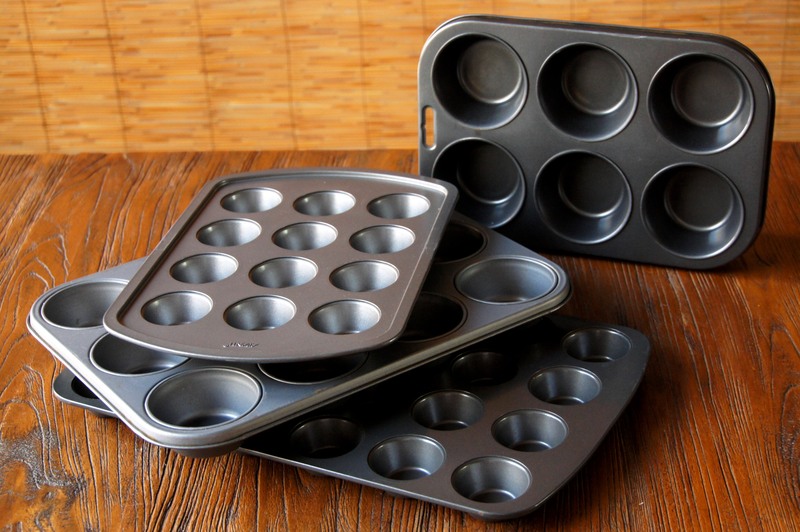 Muffin and mini-muffin trays can be used for a variety of desserts and savoury treats. The way I see it, Mascarpone-filled Chocolate Cases with Berries would probably be the best reason to get a mini-muffin tray. They are also a kitchen necessity if you have 50 colleagues and a desire to make Mondays less depressing. 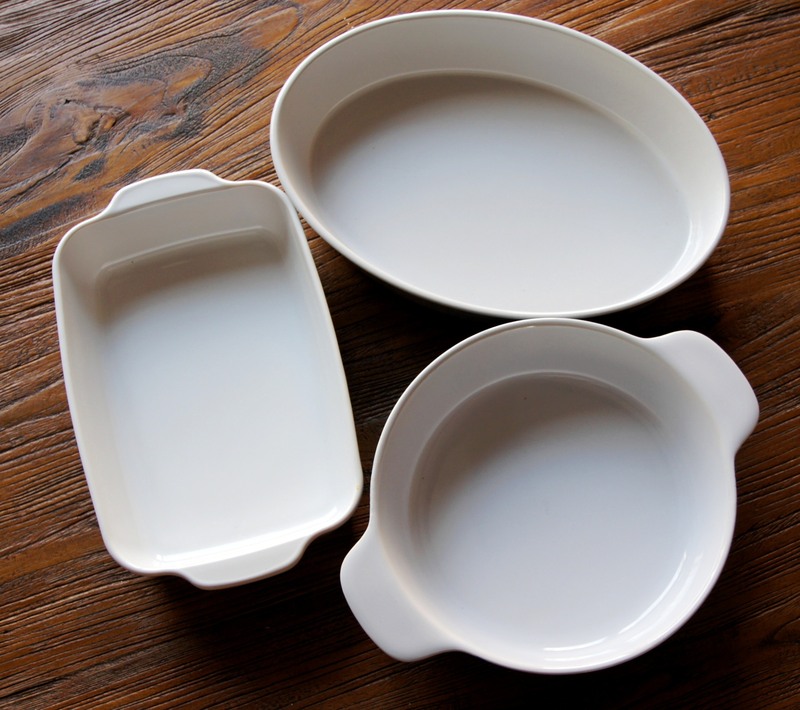 The wonderful world of ceramic dishes. Unbeatable when it comes to compotes, puddings, baked custard, poached fruit, gratins, clafouti and the like. I always conservatively go for the traditional white, simply because it allows the colours of the dessert itself to unfold and ‘tell the story’ before it reaches your taste buds. When it comes to baking and cooking, the appearance and visual aesthetics are as important to me as the gastronomical pleasure of dessert-consumption. 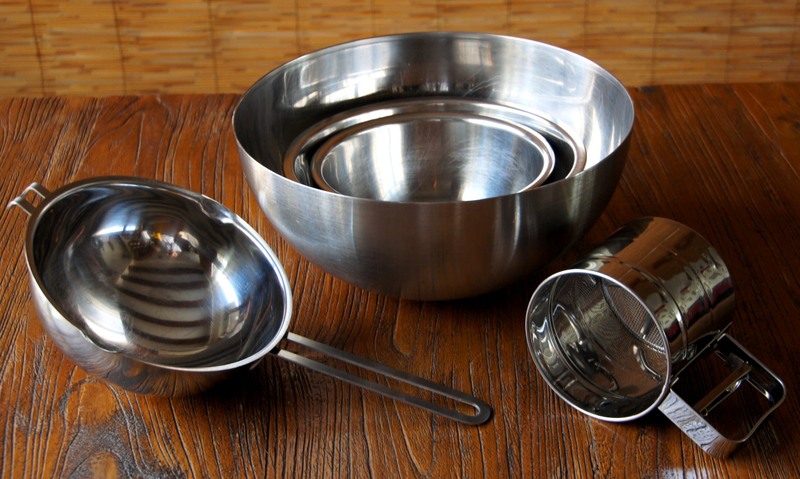 The ‘trusted companions’, the solid foundation of every dessert-making process. 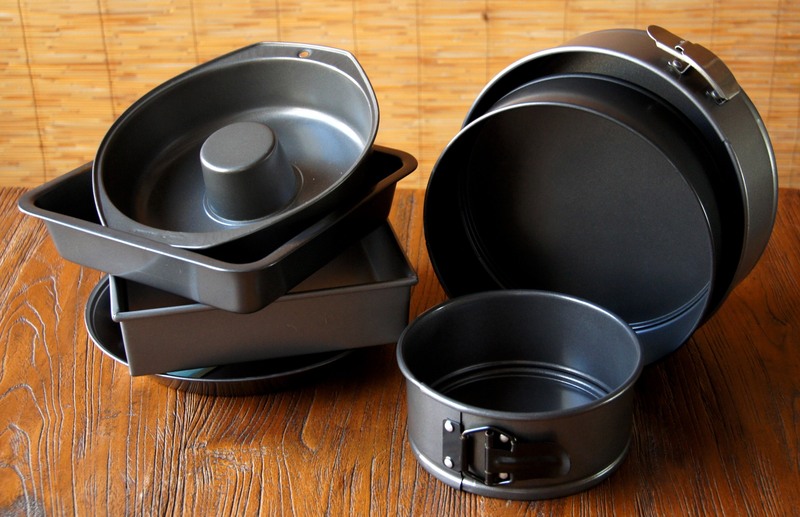 Bowls of various sizes, sifter and multi-functional round-bottom heatproof pan. I’m sure there’s a proper short name for the latter which I am not aware of. 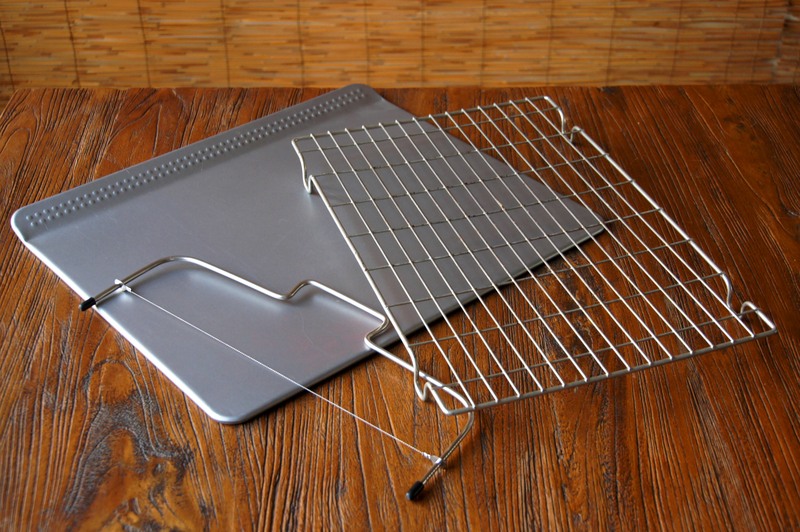 Great for melting chocolate or beating egg yolks ‘bain marie’ style. I know that some people get away with wire whisks, but even 5 times a week in a gym over the past 15 years could not create enough upper body strength for non-stop 6-8min whisking. So in my kitchen electric mixer is simply irreplaceable. The food processor had seen its better days, but now it is mostly in use for crushing cookies for cheesecake base. That’s if I’m lazy to go with the traditional bag-and-rolling pin method. I was rather skeptical of wire wrack(s), up until the moment I got myself one and cooled my first cake on it. It was a totally different story with a cake layer slicer though. As long as I could remember I used thick silk threads for cake layering, and it was never perfectly even. My cake-layering perfectionism was satisfied with this little device here. And the flat baking tray. For some reason I forgot to put it together with all other ‘trays’ above, but it actually deserves a special mention since it delivered numerous swirls, kisses and yo-yo bites, all to-perfection. Rуль… это куль, это просто кульский куль!!! !